Why is it so hard for human beings to change? This is the introduction of a four part series that will go into more depth over the next couple of months. New Year’s resolutions are another great example of this failure to change. They are rarely successful. I struggle myself with this difficulty changing and I get annoyed and frustrated with myself. I hear others tell me how they have struggled for years to improve their lives, such as study, or key relationships, or many other things, even though they know what to do, e.g. studying effectively, or controlling anger. In thinking about this over the years, and reading about human behaviour, it occurred to me that there are almost invariably 4 major obstacles to effect change, whether it be in change in individuals or change in groups. 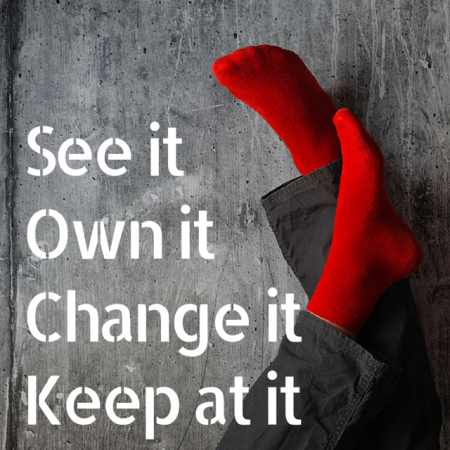 The four sequential obstacles are to See, Own, Change and Keep it up – which creates the mnemonic SOCK. Hence the term that is used for this process, SOCK theory. 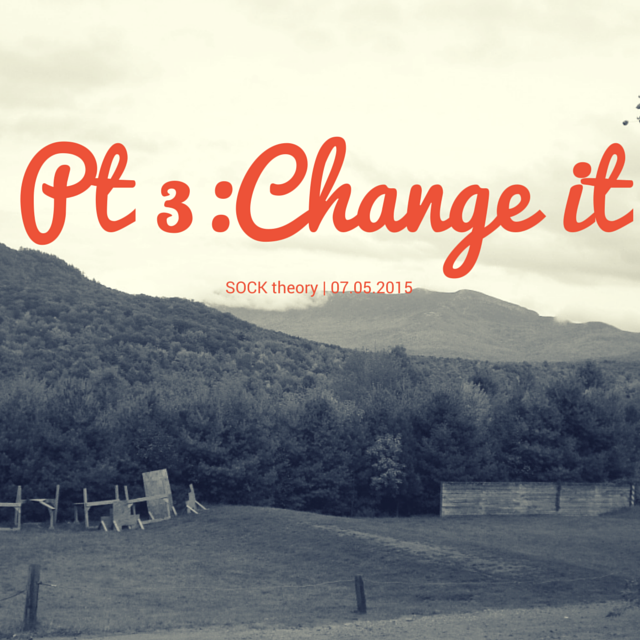 Understanding SOCK theory has helped many people change things that have never previously been able to change. That is why we now teach it to medical students so they can help effect significant changes in patients’ behaviour and lifestyles. Continual finger wagging by doctors about the risks in order to generate guilt doesn’t work if they are blocked at O, C or K. The same applies to anyone who cares about another – partners, parents, friends, bosses – finger wagging is of limited value and can be counterproductive. Busyness, distraction and simple loss of focus and lack of accountability are common causes of failure. We need a strategy for this or it will be hard. Strategies have to be sustainable and become a lifestyle. Why is it important to understand these four obstacles? The answer is that it then becomes possible to understand where any individual is blocked and begin to help them get past that block. That person might be a friend, a partner, a child, a client, a patient or anyone else, including yourself, who is struggling to make sustained changes in their life. We have found that once people understand SOCK theory, and apply it to given situations, it becomes clear where the block is. That then gives them a start in strategizing past that block. Another key reason to understand SOCK and to identify which of these 4 obstacles the person is blocked, is that one often hears the phrase ‘all that is needed is more education’ – but this is just not correct. That helps with See i.e to begin to recognise that there is a problem that needs addressing, but continually hammering individuals who have failed before to change can actually be counter-productive- they can shut down. Therefore it is important to identify the exact point at which an individual is blocked and to focus on strategies to overcome that particular block. This is why cigarette packets need more than just scary pictures and warnings – they should also contain, for example, ideas on how to Keep it up, such as avoiding the pub for 6 weeks to avoid the situation most likely to cause them to relapse. These 4 obstacles, Seeing, Owning, Changing and Keeping at it also underlie failures of corporate change. Can you spot SOCK in the example? A couple of years ago I was in Indonesia with the Honourable John Anderson, former Deputy Prime Minister of Australia, doing some leadership training and seminars with him for a university. We were invited to lunch to discuss the possibility of helping them develop future leaders via their University. We presented some suggestions and the University boss invited us to submit some written documentation to him suggesting how we might help them in the future. Instead of agreeing, I suggested to him that he might get together with some of his other university leaders and ask themselves what their actual need and goal was in terms of leadership training (to See), then I suggested that together that group could identify ways in which the university could take responsibility for this course (Own the responsibility rather than giving it back to us). and put some resources into it (Change something). Finally, I asked him how he thought any such leadership course could be sustained into the future rather than being a short term fix (Keeping at it). He agreed that these were good strategies so we left it with him. We have heard nothing back from him. I mean him no criticism, but I can’t help but think that if we had submitted some documentation it would have been a waste of time – if the corporation doesn’t see the need, and take the responsibility, commit resources to change and have a strategy for keeping at it, then significant changes are unlikely to occur regardless of the quality of the input from outside. 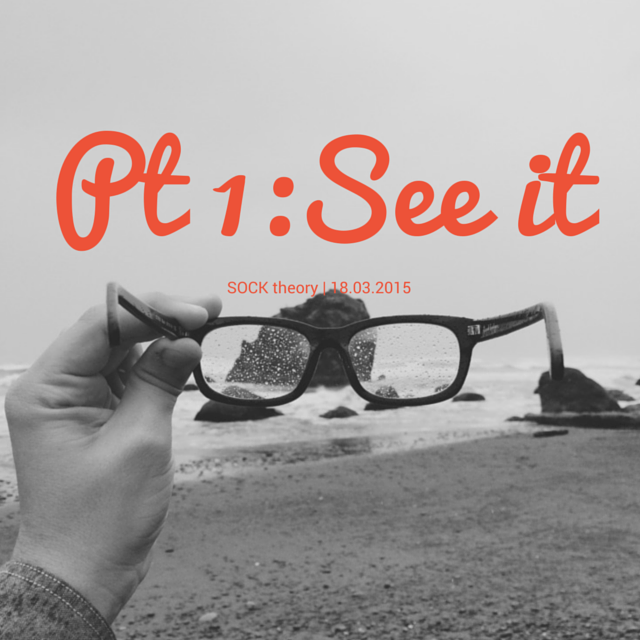 It is incumbent on leaders to take a lead with SOCK, including improving their leadership. I was recently asked to speak to a large group of leaders at a breakfast seminar. 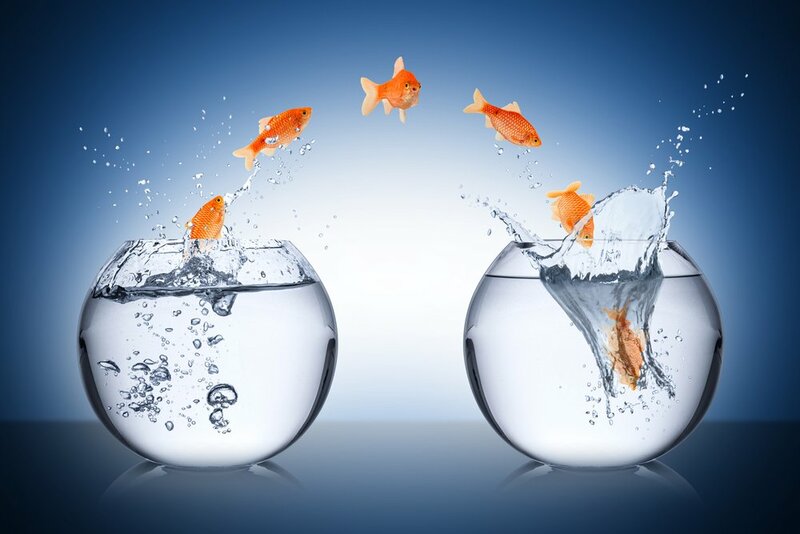 We discussed corporate change and the role of the leader to embody a willingness to change. I then told them about the SOCK theory, which they saw immediately was true and loved it. Then I asked how they were personally doing with SOCK in their leadership. For example, who asks for feedback from their teams about their leadership style and its effectiveness? 97% did not do so and looked guilty as they told me. They were failing at the S of SOCK. I would love to hear from anyone who wishes to give examples of how they have overcome SOCK blocks in their own personal experience, e.g. in issues of health (weight control, exercise, smoking, etc), study, personal, relationships (anger, remembering special occasions, taking for granted, nagging etc). 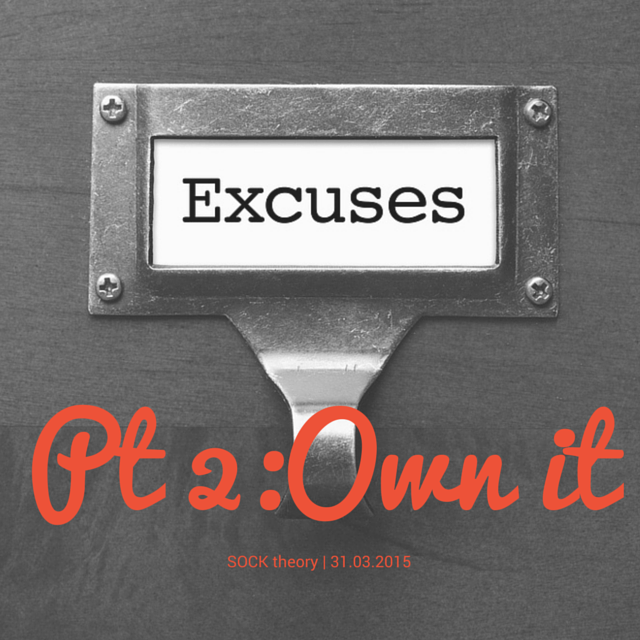 A block in Seeing (versus denying), Owning (versus blame), Change (versus proscrastination) and Keeping at it (versus falling back into old habits). Please add them as comments. © 2014 BWS Robinson Pty. Ltd |All rights reserved.